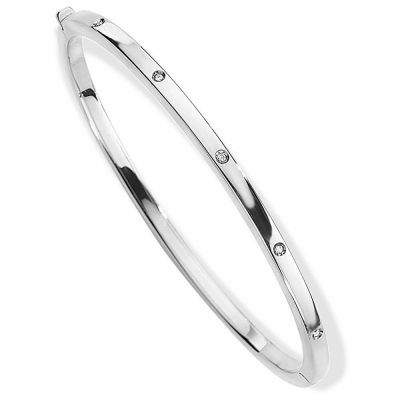 Sinuous lines are transformed from a simple bangle theme, into an elegant harmony of variations, combining white gold with the luminosity of diamonds. Hinged. Concealed box clasp. Diamonds, 0.15ct tw. Approximately 69x59mm. Made in Italy.